Are you planning a bike outing, but you cannot transport your two-wheeler according to your wishes? Are you a member of a sport club and do you want to organise a group outing, but you don't have a sufficient number of mountain bikes available? 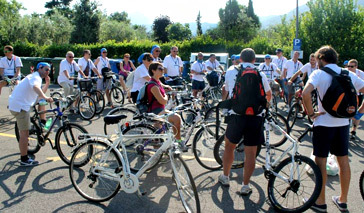 Get in touch with Iseo Bike! 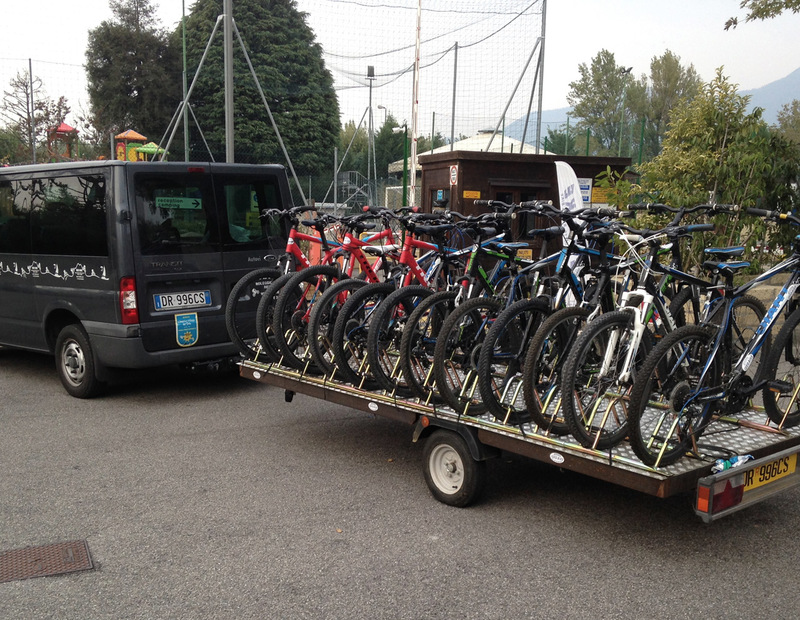 In addition to the possibility of renting city bikes, mountain bikes, pedelecs and children's bike, in our shop you can also ask for a very convenient service: the bike transportation and delivery to your home, accommodation or at the starting point of your tour. 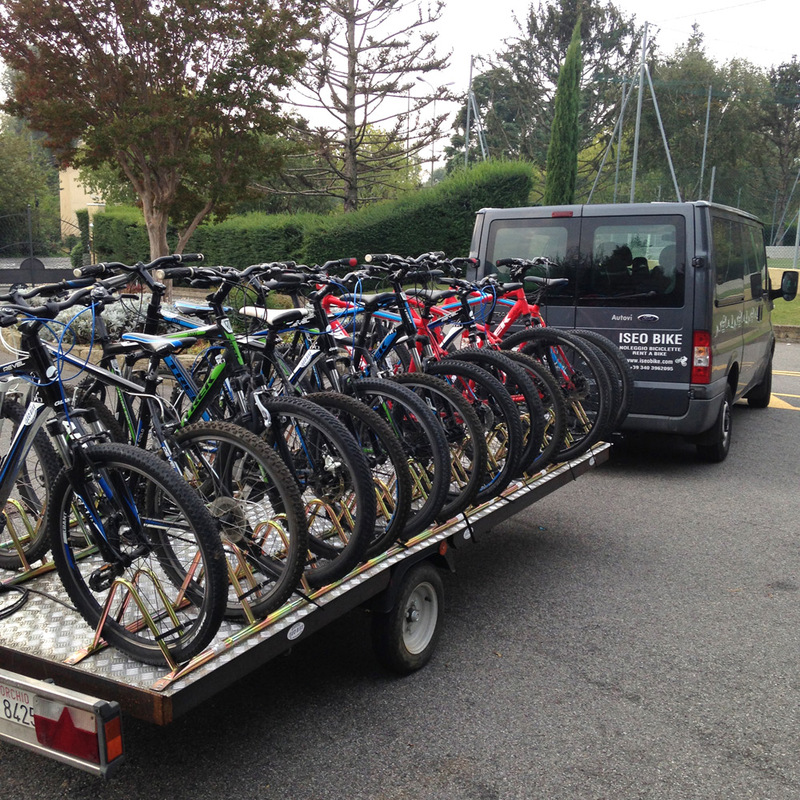 We have an equipped van to transport bikes at our disposal, so that you can just think about your outing. Are you a guest of a lakeside campsite or hotel and are you looking for a bike? We'll bring it to you! 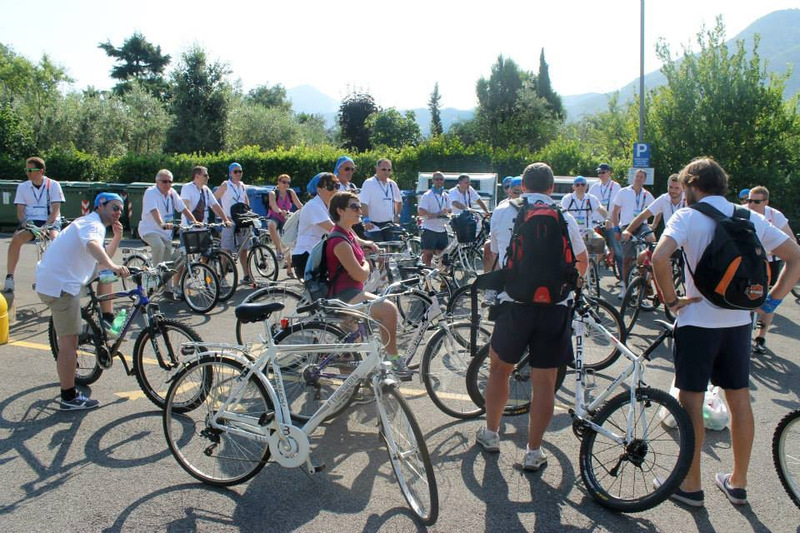 Don't miss the opportunity to explore the region of Iseo Lake and Franciacorta on your two-wheeler! In addition to the above-mentioned services, we have a cycle repair and replacement service at our clients' disposal. Our bike fleet is made up of about 150 units. 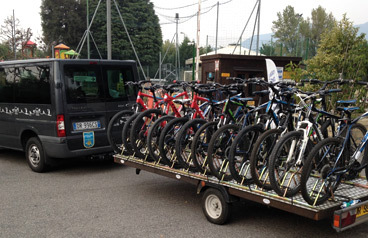 A shipping charge applies to bike transport service within 10 Km: € 3 per City or Mountain bike and € 6 per Electric bike. Please ask for a quotation in case of a longer distance. Take a look at our bike rental prices by clicking here.